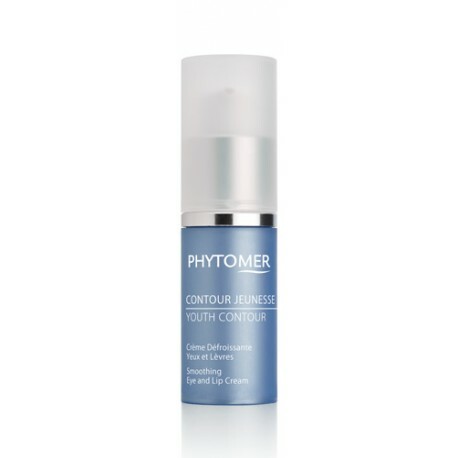 YOUTH CONTOUR is a cocoon of suppleness for the fragile eye and lip contours. 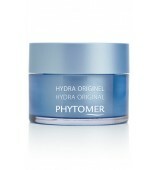 Day after day, it softens existing wrinkles, helps prevent their appearance and reduces puffiness and dark circles. 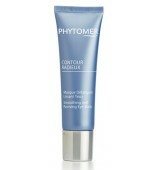 For a visibly smoothed and a lasting rested eye contour. **Satisfaction test on 23 volunteers, after twice-daily application during 28 days. 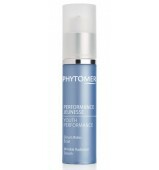 AQUA (WATER) / EAU, GLYCERIN, TRIETHYLHEXANOIN, DICAPRYLYL CARBONATE, DIPROPYLENE GLYCOL, CAPRYLIC/CAPRIC TRIGLYCERIDE, BUTYROSPERMUM PARKII (SHEA) BUTTER, CETEARYL ALCOHOL, DIMETHICONE, PENTAERYTHRITYL DISTEARATE, PENTAERYTHRITYL TETRAISOSTEARATE, C10-18 TRIGLYCERIDES, SODIUM STEAROYL GLUTAMATE, PHENOXYETHANOL, SODIUM POLYACRYLATE, SODIUM POTASSIUM ALUMINUM SILICATE, POLYACRYLATE-13, POLYISOBUTENE, SILICA, MARIS SAL (SEA SALT) / SEL MARIN, CHLORELLA VULGARIS EXTRACT, POLYGONUM FAGOPYRUM ( BUCKWHEAT) SEED EXTRACT, TOCOPHEROL, CHLORHEXIDINE DIGLUCONATE, HYDROLYZED ALGIN, LAMINARIA DIGITATA EXTRACT, DELESSERIA SANGUINEA EXTRACT, POLYSORBATE 20, CRITHMUM MARITIMUM EXTRACT, SORBITAN ISOSTEARATE, MARIS AQUA (SEA WATER) / EAU DE MER, DILSEA CARNOSA EXTRACT, HELIANTHUS ANNUUS (SUNFLOWER) SEED OIL, GLYCINE SOJA (SOYBEAN) OIL, CI 77891 (TITANIUM DIOXIDE).